Due to the fact that the loosening and the sagging of the face skin is a normal by-product of aging and gravity, a face lift is generally performed in individuals over the age of 40 years. Deep Plane Lift:Is applied to people with significant facial skin laxity. It requires many incisions along the hairline. Offers long lasting results. Lift:It is used for people with mild laxity. Fewer incisions needed. Short Scar Lifts:It alters the tissues that support the smile and jaws. It tightens a moderate part of the skin and is mainly used for people around their 40s and 50s. Endoscopic Facelift:Using a small camera, the surgeon has the ability to make smaller and more precise incisions. Can be performed under local anaesthesia. This is effective only for cheek sagging. Cheek Lift:The incision starts from your hairline and inside the mouth and repositions the fat layers in the cheeks. It provides a mini lift with minimal risk. Stem Cell Facelift:It involves the injection of fat tissue in specific areas so as to tighten the skin from the inside. Thread Lift:The surgeon uses a hook-like thread so as to lift the skin layers and provide the tightening. This technique is usually used together with other types of face-lifting. Natural aging – A facelift is performed to rejuvenate the appearance of the face. Aging of the face is most shown by a change in position of the deep anatomical structures, which are the platysma muscle, cheek fat and the orbicularis oculi muscle. These lead up to three landmarks namely, an appearance of the jowl (a broken jaw line by ptosis of the platysma muscle), increased redundancy of the nasolabial fold (caused by a descent of cheek fat) and the increased distance from the ciliary margin to the inferior-most point of the orbicularis oculi muscle (caused by decreasing tone of the orbicularis oculi muscle).The skin is a fourth component in the aging of the face. The ideal age for face-lifting is at age 50 or younger, as measured by patient satisfaction. Some areas, such as the nasolabial folds or marionette lines, in some cases can be treated more suitable with Botox and filler injections treatment. The patients themselves go to the cosmetic surgeon and the physician recommends the best treatment based on the condition of the skin. 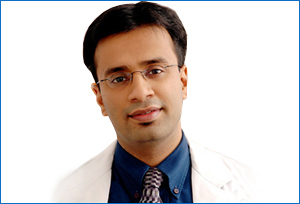 Dr. Debraj Shome, being a facial plastic surgeon, is one of the top / best face lift surgeons in India and the world. Medical:In cases of very mild facial skin sagging, the chemical face lifts may produce good results. These however do not last for very long. Surgical:These treatments provide visible long lasting effect. Longer periods of recovery however are required in severe cases of skin sagging. If smaller incisions are used, the post surgical care is very limited. Complications of medical management– Chemical face-lifts may irritate the skin. Complications of surgical care– Possible inflammation, bleeding and infections. The recovery period may vary, based on the age and the health condition of the patient. Appropriate caring of the face skin from a younger age may delay the aging of the skin and therefore delay the need for face lift surgery. ‘Prevention’ may also include early use of non-surgical ‘wrinkle reducers’ like Botox and fillers, in one’s lifetime. At our centers, All face lift surgeries are performed by Dr. Debraj Shome, top / best plastic surgeon in India, currently based in Mumbai, India.